After going live for pre-order on Amazon last night, the Nexus 9 is now available on the Play Store. Google has the black and white versions in 16 and 32GB capacities ready for you to claim. The sand/flesh tone/beige thing and the LTE version are still just "coming soon." 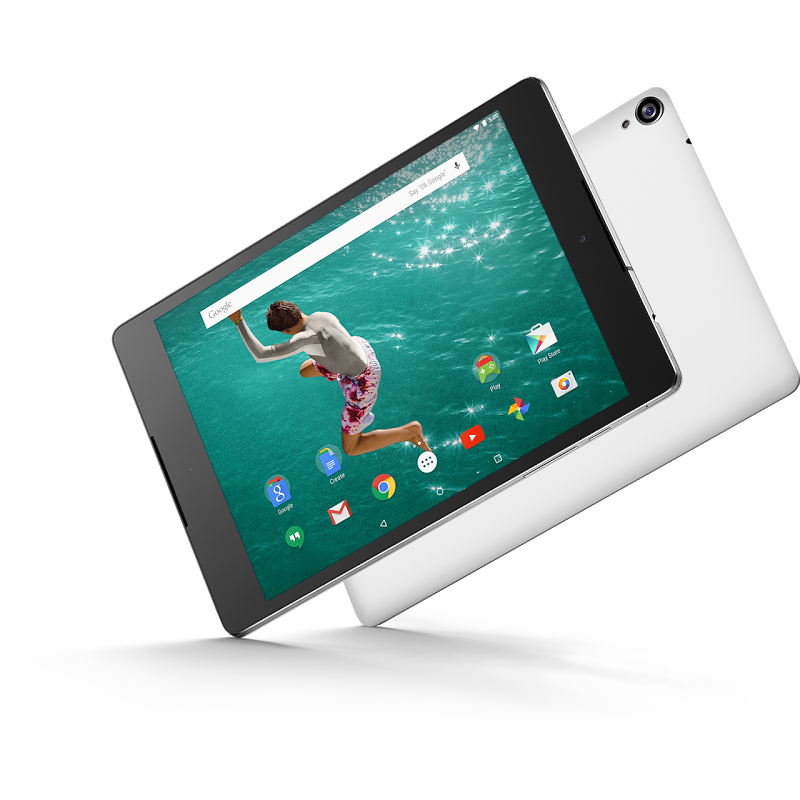 The Nexus 9 starts at $399 for 16GB and goes up to $479 for the 32GB. Keep in mind you'll have tax and shipping in the Play Store, but Google will handle warranty claims directly, rather than sending you to HTC. Google lists the keyboard case and the folio covers, but they too are marked as "coming soon." If you order, Google says it'll ship in 2-3 weeks, but at checkout it lists the ship date as November 3rd. As for the Nexus Player, it ships in 3-4 weeks and costs $99. The Nexus Player is the first Android TV device sold to the public, so it's a little on the basic side with just 1GB of RAM and 8GB of storage. It comes with a remote, but the controller is another $39. That too ships in 3-4 weeks. All the listings are below. Update: The Nexus 9 should be available in Australia, Austria, Belgium, Canada, Denmark, Finland, France, Germany, Hong Kong, Ireland, Italy, India, Japan, Netherlands, Norway, Portugal, South Korea, Spain, Sweden, Switzerland, United Kingdom, and the United States. The Nexus Player is only in Canada and the United States.